This 10th Annual event was Amazing. Our winner set a great pace and led the field of 221 finishers through the new arch. Results are posted on our race history page. Thank you everyone for coming out and making our event great. 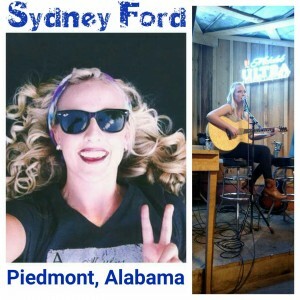 Sydney Ford is a local musician from Piedmont, Al. She will be joining us on June 25th , 2016 and entertaining the audience with her Rock and Roll sounds. Come out and give her some Alabama support!! Born to musician parents, singing Sinatra word for word by age 3, acting in high school plays at age 4, it was inevitable that Sydney would find her way to the stage, being at ease in front of a crowd, whether she is dancing, acting or singing. A 2016 graduate of Piedmont High School, Syd is now focusing more of her entertainment efforts toward singing and playing. She grew up with a wide range of music available to listen to in the home. Her listening interests gravitated to classic and contemporary Rock and Roll. Her live shows present a very diverse set list that mirrors the music you’ll find in her own music collection. Sydney brings a refreshing, unique voice, the very thing that seems to be missing and is desperately needed in the music world of today. Hit songwriters and producers that have had the opportunity to hear a Sydney Ford performance say that her voice hints at Joni Mitchell, Bonnie Raitt and Michelle Phillips, and more contemporary Elle King. 2016 promises to be a break-out year, with plans to record her first CD in Muscle Shoals and Nashville, being backed by some of the industries leading musicians, producers and songwriters. 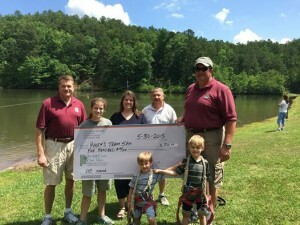 Thank you to everyone who was able to come out and support Haley’s team for the 9th annual event. We saw the first annual Kirk’s Kids 1K with very speedy junior runners. The 5K field was full of fast runners making a very spirited night of racing. 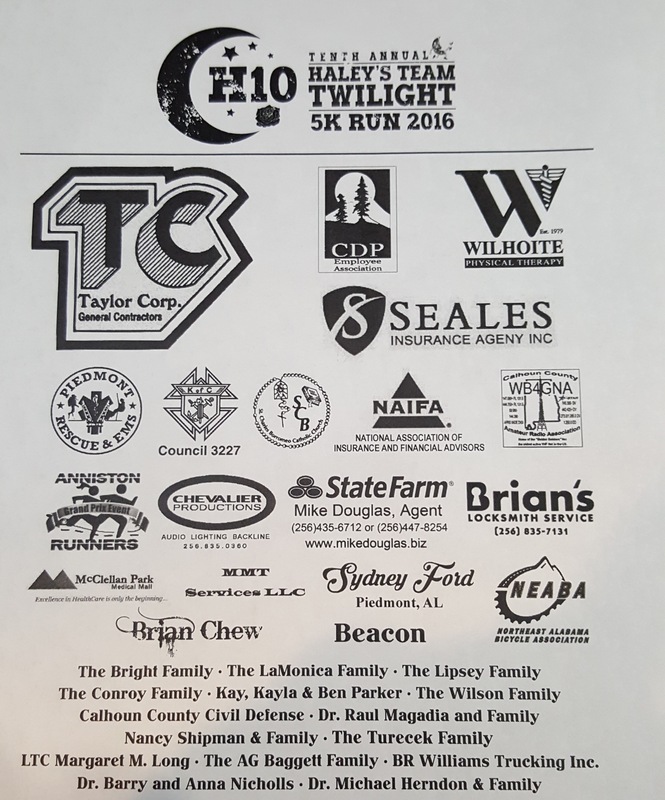 We greatly appreciate you for continuing to support us and look forward to our 10th Annual event. Thank You to CDPEA for sponsoring the upcoming Haley’s Team Twilight Event. Your efforts will help us reach our goals this year. This is a great song from One Republic- I Lived, it tells the story of a young man growing up with Cystic Fibrosis.